BME staff often find it hard to progress to senior grades in NHS organisations that remain, at the highest level, stubbornly white. Wellington Makala has broken through in a London trust that takes race equality seriously. 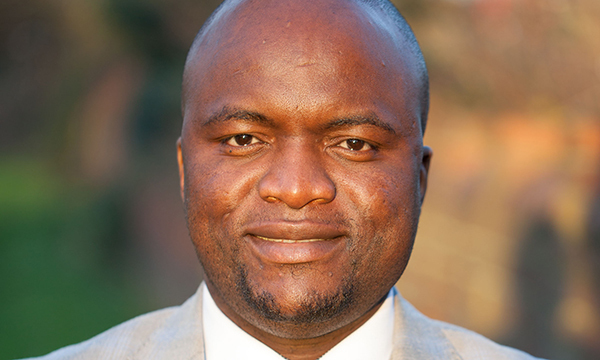 Wellington Makala joined North East London NHS Foundation Trust (NELFT) in 2001 as a nursing student, remained with the trust when he qualified as a mental health nurse, and is now deputy director for operations for the mental health inpatients and acute directorate. A few years ago, however, he felt his progress at NELFT had stalled. Mr Makala met with the trust’s chief executive John Brouder to talk about the issues that were holding him back. Mr Brouder proved receptive and the discussions put Mr Makala’s concerns into a wider context of fairness for all staff. Since then, the trust has implemented a strategy to make the organisation more inclusive and remove barriers to staff reaching their full potential. It has introduced mentoring for employees by BME managers and has BME representation on all interview panels for high-level jobs. Mr Makala has been actively involved in the trust’s award-winning ethnic minority network, which he chairs, and is an associate board member and a BME ambassador. He says some organisations urge BME staff to go on more courses or gain additional qualifications in order to succeed. This can put the onus on the individual and sometimes does not reward their effort. ‘Some of the most overqualified people in the NHS are from BME backgrounds,’ he says. One course that does seem to have benefited Mr Makala, however, is the Breaking Through course run for BME staff by the NHS Leadership Academy: it made him realise the issues he faced were not unique to his organisation. He advises BME staff that the first step is to see success as a possibility, because those who don’t apply won’t get the job. ‘I tell people just to apply for a role – they have nothing to lose,’ he says. He also recommends that they improve their career chances by taking opportunities to be mentored or to shadow colleagues to gain experience. He says he has benefited by being mentored by Mr Brouder. The willingness of organisations to change, and of senior leaders to lead change, is crucial, he says. No equality initiative will work unless it is implemented with commitment. He says NELFT has needed to make few changes in response to the NHS Workforce Race Equality Standard (WRES) because the trust is already going beyond the standard in many areas.